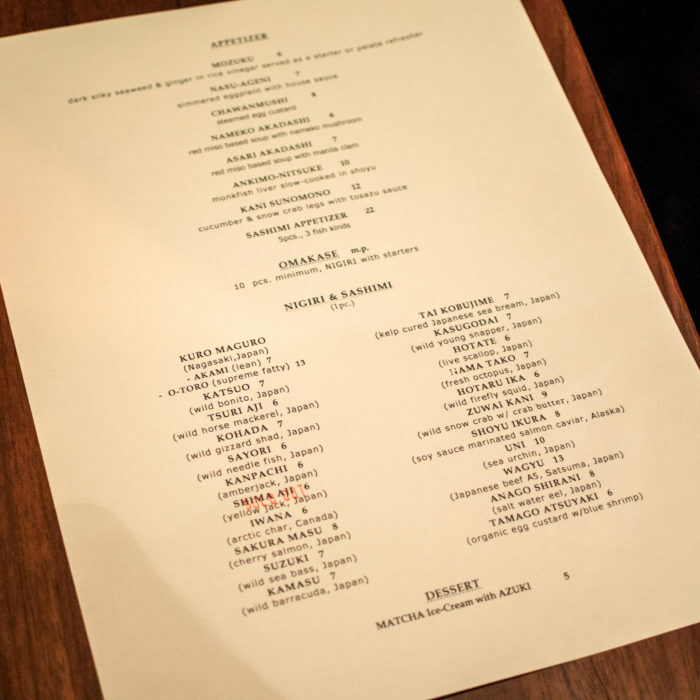 Definitely splurgy in terms of pricing, so save this one for a special, intimate date night. 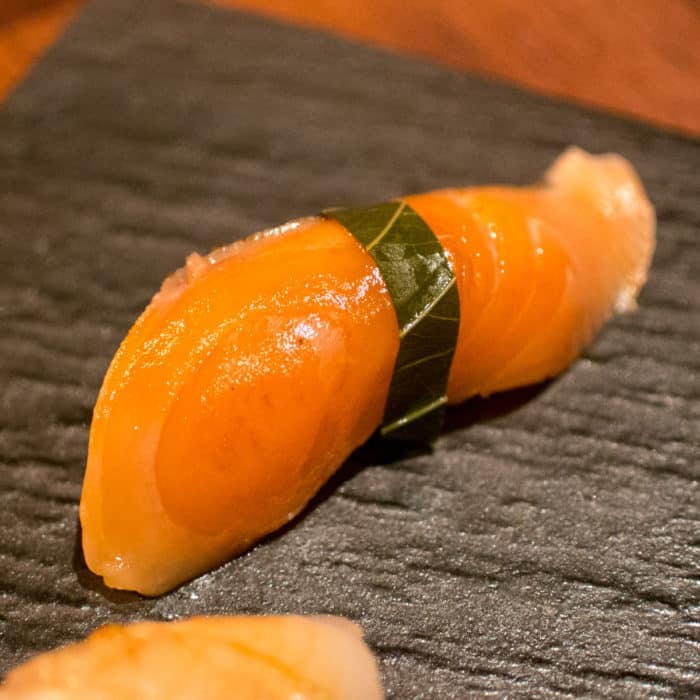 The quality of food prepared and served at this quite sushi shop is definitely impressive, but most certainly comes at a premium. It’s the kind of place where pieces come prepared by the chef with the right amount of seasoning and sauce, so there’s no need to dip into soy on your own. 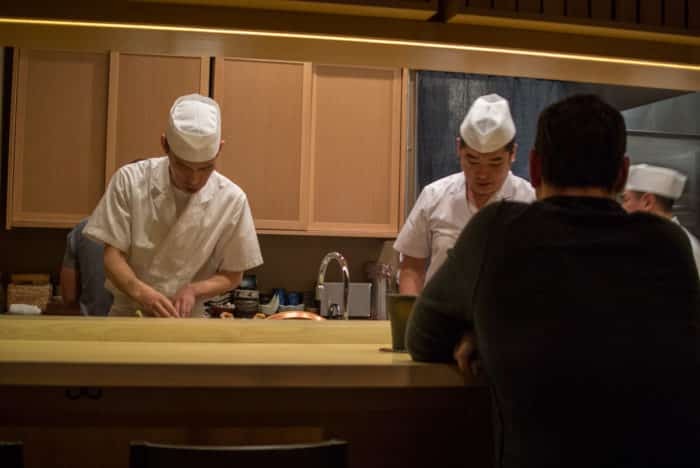 For super-clean representations of unusual fish and other Japanese comfort dishes, this place is quite excellent. 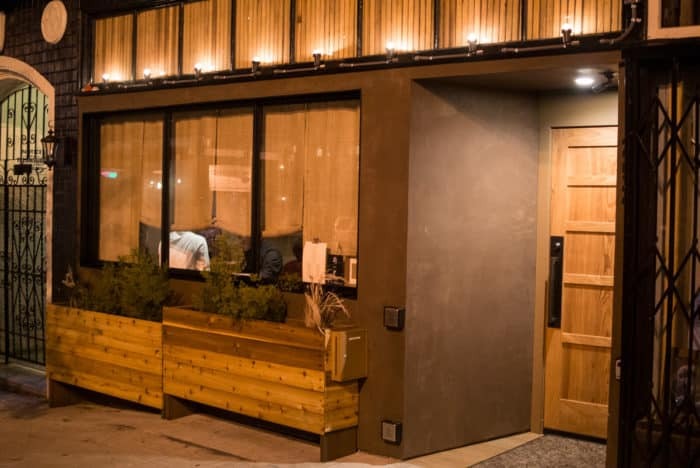 At the time of my visit, they were offering an a la carte menu, but I hear they are going to be switching formats to a 19-course omakase menu for $135. 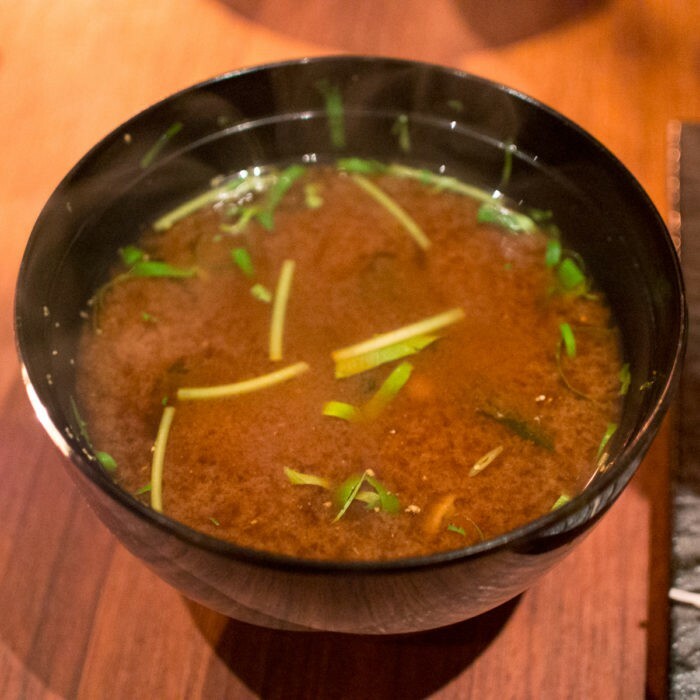 This soup was made with red miso as opposed to the more standard, less-aged white miso and it made a huge difference in the flavor. Both the red miso and mushrooms made for a deeply umami-rich intense broth that was both incredibly delicious and soothing. 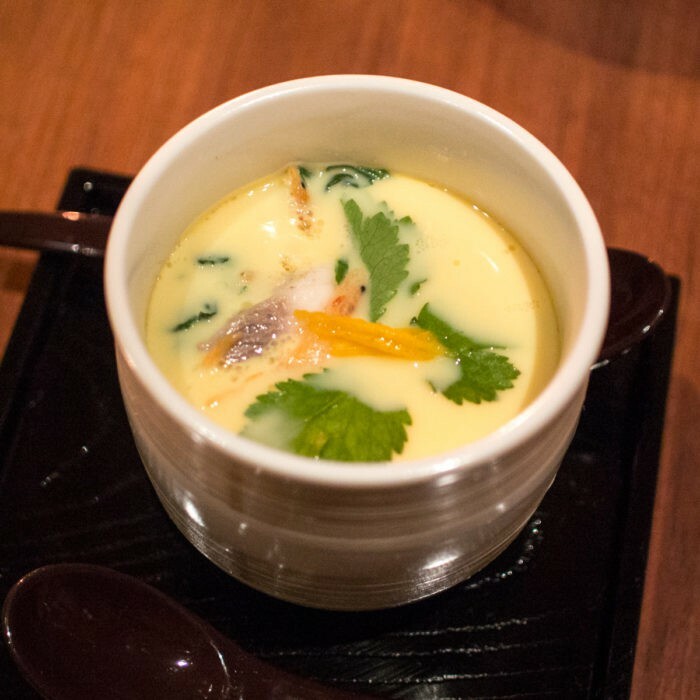 This traditional steamed egg custard was very hot and giggly – as it should be – but I can totally understand that not everybody will love the texture of this dish. It came with a mix of mushrooms and herbs built in that added a subtle, but pleasant earthiness to the creamy egg-based dish. The platter came with a chef’s choice of five pieces of three different types of fish. 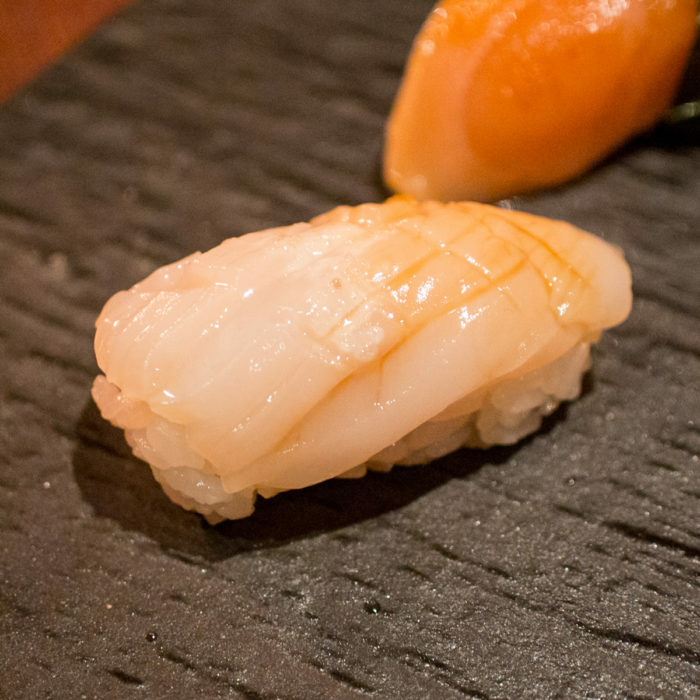 All of our pieces were wonderfully fresh and clean and came plated beautifully. 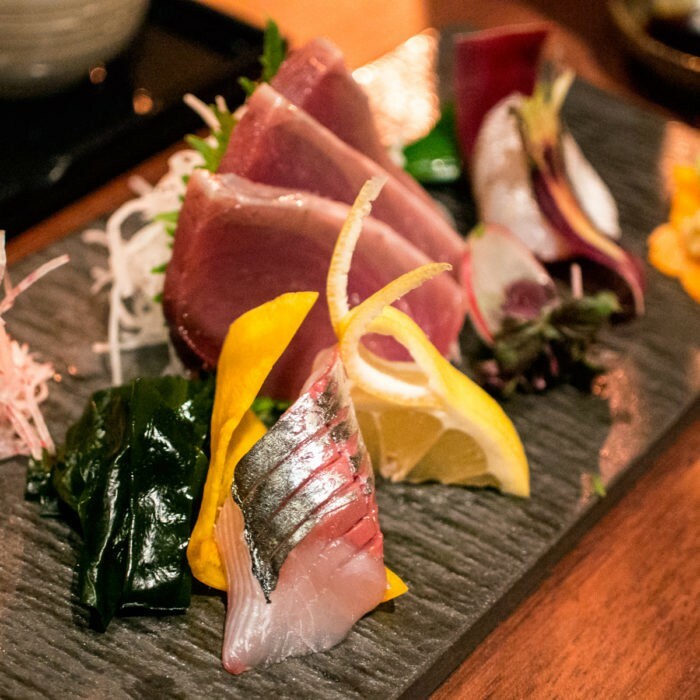 As I recall, our selection included Katsuo (Wild Bonito), skin-on Kanpachi (Amberjack), and Kasugodai (Wild Young Snapper), all of which were awesome. Clean, fresh, wonderful. 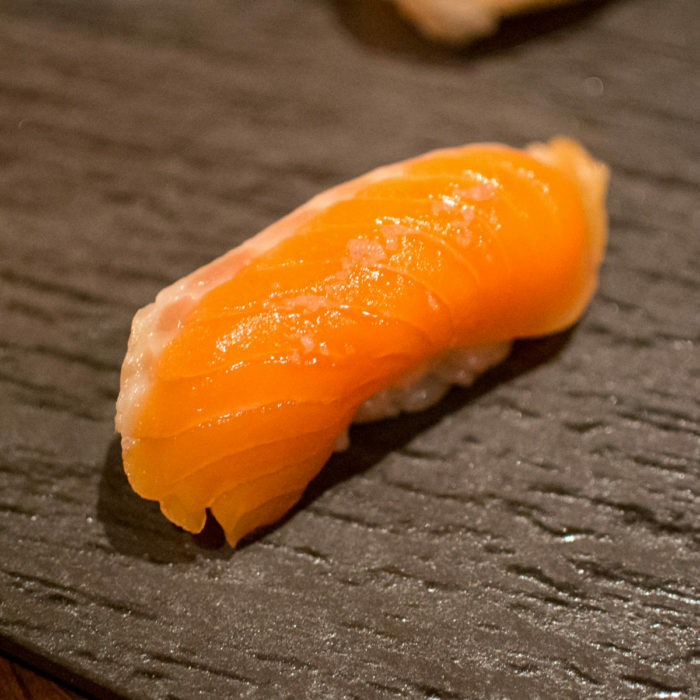 Very similar to salmon in texture and flavor. Crosshatch-sliced, well sauced, very crisp and clean tasting. I like my scallops a little bit sweeter, but I still thought this was really, really good. By far the best of the bunch. 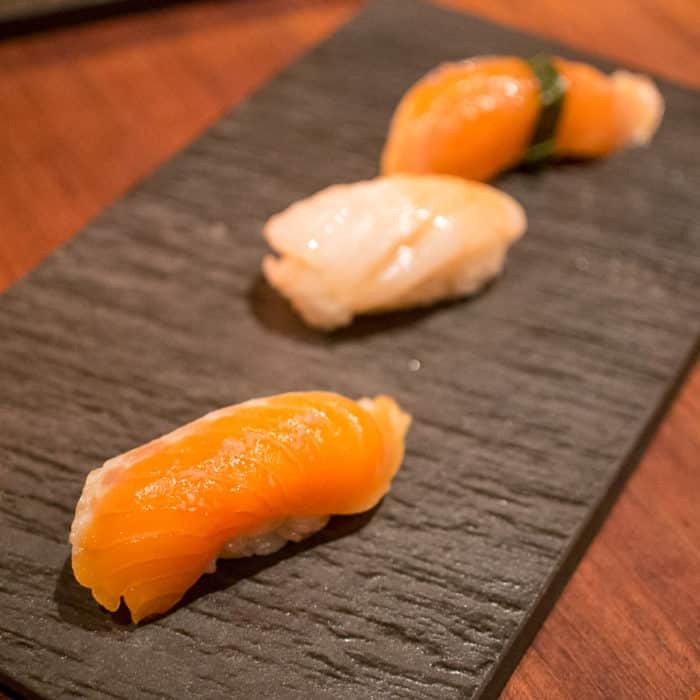 This piece of salmon was wrapped with a narrow strip of shiso leaf that added such a pleasant herbal quality to the impeccable raw fish. Next PostIs It Sushi? Is It A Burrito? Or Is It Something Else Entirely? Epic Deep-Fried Sandwiching at Hey!…You Gonna Eat Or What?